Don is a litigation partner who heads our New York Commercial Litigation practice. For more than 30 years, Don has engaged primarily in commercial litigation and arbitration with an emphasis in the areas of real estate development and ownership, construction, co-op/condo disputes, representation of lenders and other creditors’ rights litigation, partnership and shareholder disputes, transactional disputes, insurance securities, trademark and unfair competition. 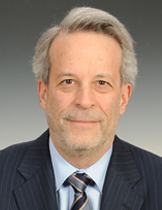 Beyond Don’s wealth of experience as lead trial counsel and as appellate counsel in state and federal courts throughout the country, Don is expert in resolving disputes, whether through litigation, arbitration, mediation or negotiation. In a leading case (Brown v. Cara, 420 F. 3d 148 (2d Cir. 2005)) concerning enforcement of preliminary agreements for real estate development, represented interests of property owner and real estate developer in defeating enforcement of a Memorandum of Understanding with another developer which created a joint venture to develop real property, enabling development of a 230-unit condominium by our client. Successfully represented successor-in-interest to purchaser of supermarket chain in obtaining substantial purchase price adjustment. Successfully defended commercial property owner against claims of fraud, mutual mistake, negligent misrepresentation and commercial impossibility in action for refund of downpayment in failed $50 million real estate sale. Successfully defended developer against multiple attempts by community organizations in federal and state courts to halt construction of a Manhattan affordable housing development. Successfully represented the interests of a real estate developer of a luxury condominium and the general contractor in an arbitration against claims for payment by a subcontractor, resulting in denial of any award for the subcontractor and a substantial award of damages for faulty construction in favor of our client.